"Having the opportunity to migrate back to New Mexico after 20 years and engaging with such an outstanding organization as "Leading Edge" has been a real pleasure. I have worked in and around the technology industry for the last thirty years. Alice and Rudy have been there for us at Mark's Casa Auto Group every time we have needed any help at any of our three Albuquerque dealerships. Their work is always over and above what I have expected, in both quality of workmanship and affordability in price. Our business is very demanding and "Leading Edge" truly characterizes the name they have chosen for their company. 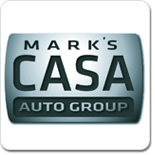 Mark's Casa Auto Group proudly endorses Leading Edge Voice & Data Communications, Inc."
"My company, Premier Home Care, has been working with Leading Edge Voice and Data Communications since I opened my business on July 31, 2000. Both Rudy and Alice are always prompt, professional and most importantly honest, ethical and extremely knowledgeable. Prior to opening my company, Rudy was the communications contractor with my previous place of employment. While working with him there, I was very impressed and knew I would be contacting him for all of my future communications needs. 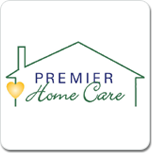 If you would like more information, please feel free to call me at Premier Home Care at 505-271-2120." We have been a customer of Leading Edge since 2010 and find that Leading Edge provides quality service and expertise for our technology needs. It is rare to find a company with such professional consistency and what I consider reasonable pricing. Anytime we have needed help from the smallest (dumb moment question) to the large overhaul of our practice with all the new installation and wiring for phones (which they provided) and computers they were there. 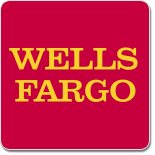 If we had an urgent need for help, I could count on them to be here when we needed them. I highly recommend Leading Edge.